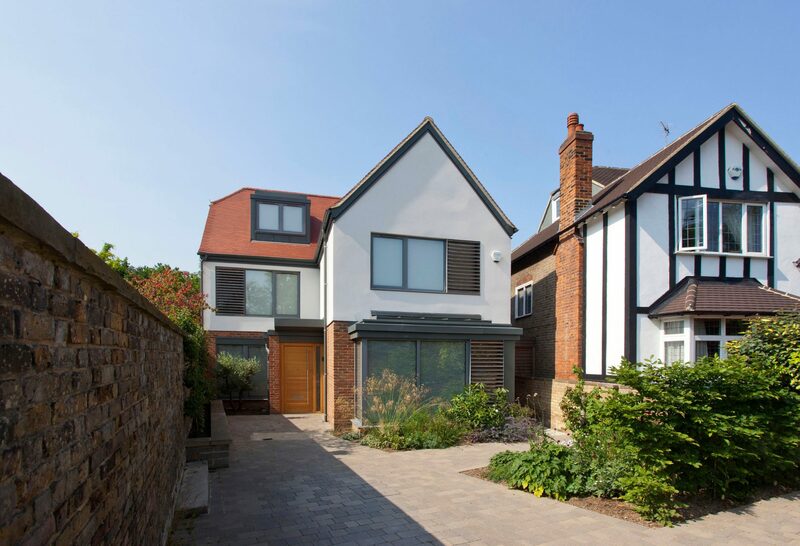 An irregular triangular shaped plot in an established residential location created the opportunity for this unique one-off house that takes full advantage of an aspect onto a large and attractive north facing garden. 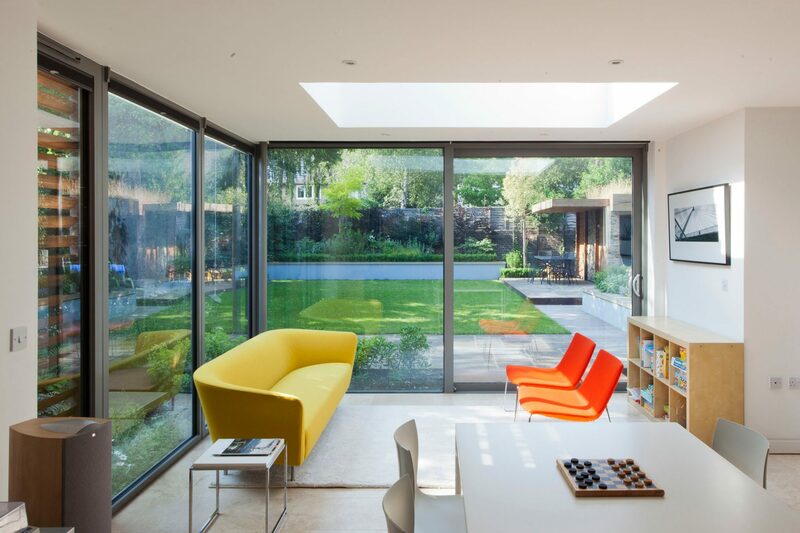 Carefully considered spaces that respond to the orientation of the site and generously sized windows and a large horizontal rooflight positioned over the north facing part of the house ensures that sunlight reaches every room all year round. The result is an elegant and well-proportioned contemporary house that successfully reflects the characteristics of the locality without compromising its individuality. 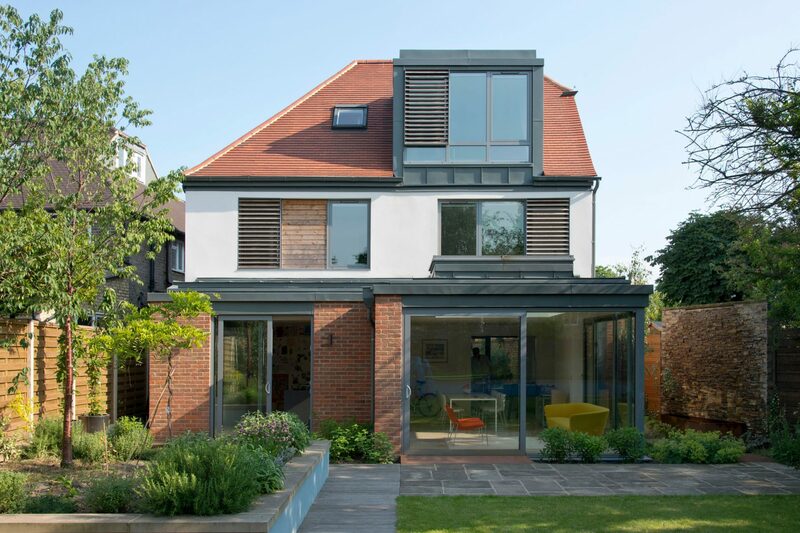 A crisp contemporary treatment has been realised by the use of simple and elegant detailing and a subtle mixture of a small palette of materials with clay roof tiling and rendered upper floor walls over a warm multi-coloured red brick base. 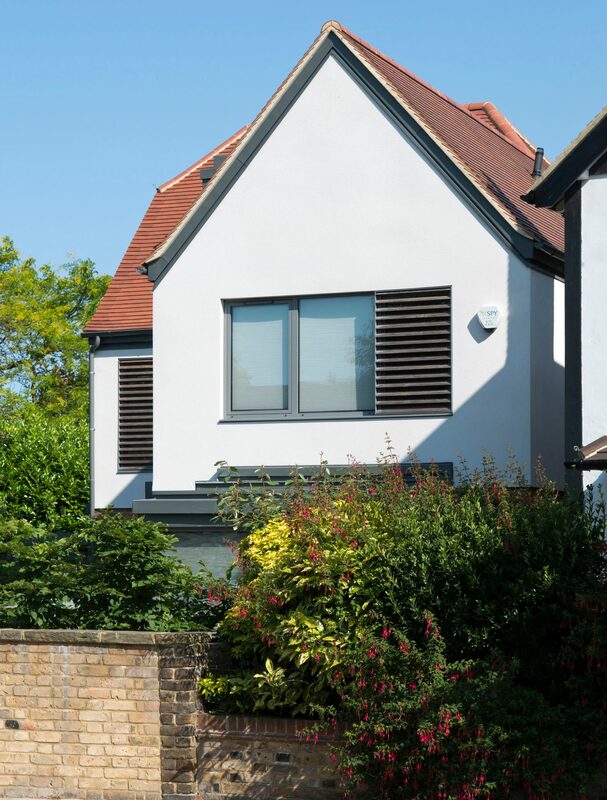 This is complemented by the use of powder-coated aluminium windows and timber slatted screens designed to allow secure ventilation at night and solar shading during the day, and projecting bay and dormer window elements clad in pre-weathered zinc which is then continued through into eaves and fascia elements.